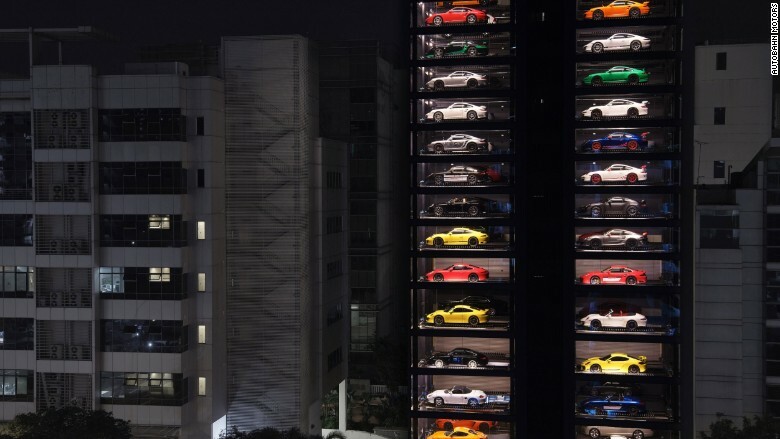 A 15-story tower of Ferraris and Lamborghinis in glass boxes has become a quirky landmark in Singapore. And it all started with a visit to Toys R Us. Struggling with a lack of space at his sports car showroom, Gary Hong was inspired by a vertical display of Matchbox cars while shopping at the toy store with his son. Hong, 45, has turned his vision into a 148-foot tower housing some of the world's most expensive cars. "We decided to build something a bit different to solve the problem," Hong, general manager at Autobahn Motors, told CNNMoney. 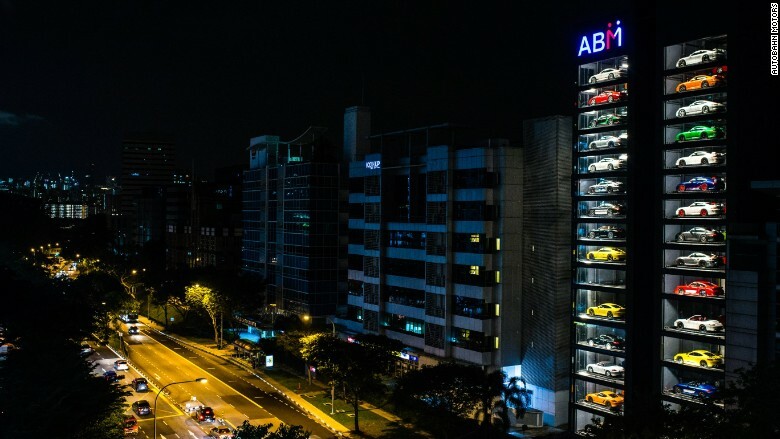 Believed to be the world's tallest "car vending machine," Autobahn's tower displays roughly 60 different vehicles, ranging from newer models such as the Lamborghini Aventador to more collectible cars such as the Ferrari 512M. The cars arrive at the touch of a button using a mobile app customized by Autobahn, and a video showcasing the customer's chosen car plays while they wait for it to reach the ground for a viewing, test drive or sale. The experience isn't entirely self-service, though. Staff supervise customers when they request a vehicle. Hong's creation isn't a new concept. 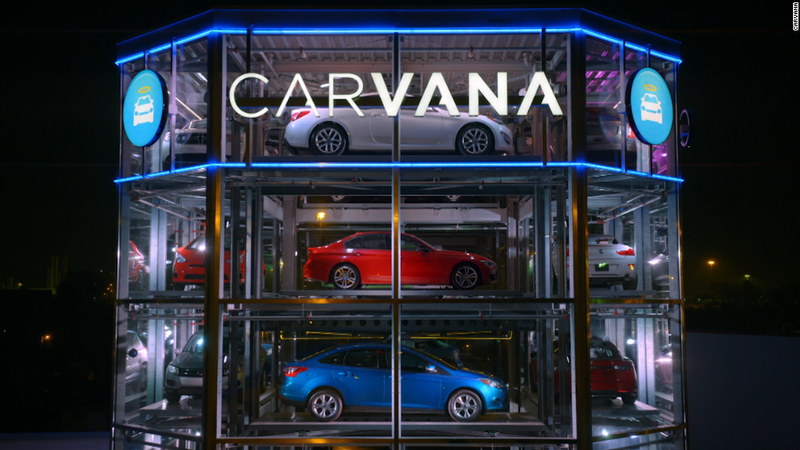 Car vending machines have sprung up in countries around the world in recent years, including the U.S. and Japan. Aside from their novelty value, they solve dealers' longstanding problem of how to showcase more cars using a limited amount of land -- a big issue in densely populated Singapore. Since it was built in December, visitors have flocked to see the Singapore tower -- and not just potential customers. Land developers struggling to find enough space for car parking have also paid frequent visits to the showroom, Hong said. Autobahn has managed to turn some of that attention into money, too. Sales rose roughly 30% in the first quarter of this year compared with the fourth quarter of 2016, Hong said. His team is now busy patenting some of the technology, which they plan to sell to businesses looking to solve inventory management problems in China and other countries.